Enjoy a unique six-course dinner paired with OneHope Wine, bid on exciting live auction items and learn more about our bold plans for the future. 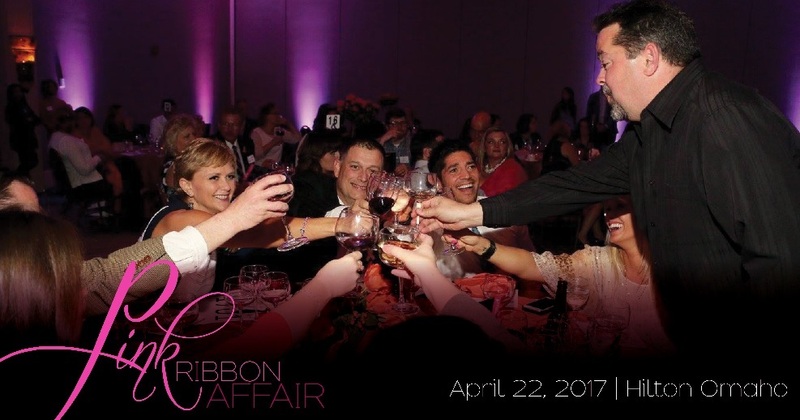 More than 200 supporters joined us at last year’s Pink Ribbon Affair and raised more than $140,000 to provide life-saving breast health services in our community. Honorary chairpersons are Steve Swanstrom, president and CEO of Centris Federal Credit Union, and his wife Courtenay. The emcee for the evening will be Serese Cole, Anchor/Reporter, WOWT. New in 2017! Purchase a candle to light in honor or in memory of those special people who have been personally touched by breast cancer. You do not need to purchase an event ticket or be in attendance at the Pink Ribbon Affair to purchase a candle.